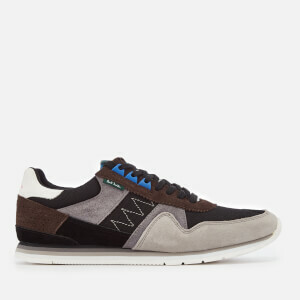 Men’s black running trainers from offbeat Swedish label Axel Arigato. 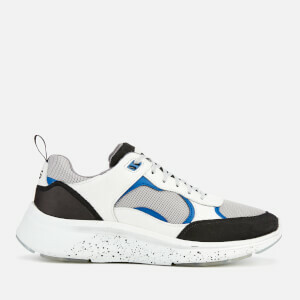 With uppers constructed from panels of breathable perforated leather, suede and padded mesh, the ‘Tech’ runners are designed for enhanced comfort and support. 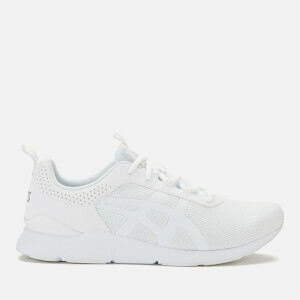 Set on a midsole crafted from a lightweight yet hard-wearing polyurethane foam that provides shock absorption for high-impact training, the lace-up sneakers feature a Vibram outsole for grip and flexibility. 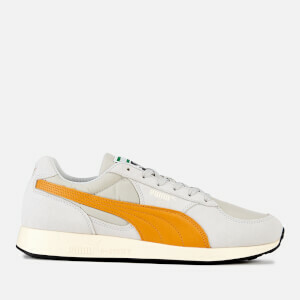 Finished with a cushioned footbed and top line, the trainers are complete with contrast laces and gold-tone branding stamped to the outer quarter. Uppers: Leather/Suede/Textile. Midsole: Polyurethane. Sole: Rubber.